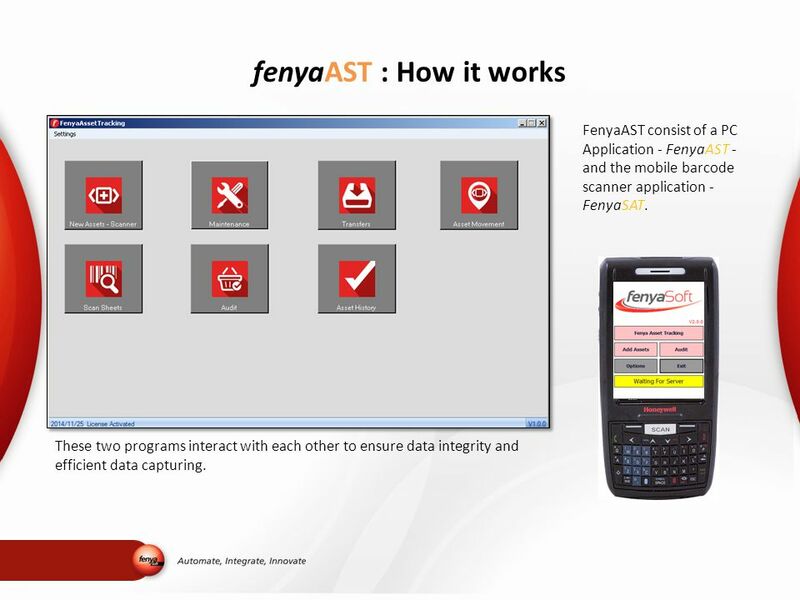 3 fenyaAST : How it works FenyaAST consist of a PC Application - FenyaAST - and the mobile barcode scanner application - FenyaSAT. These two programs interact with each other to ensure data integrity and efficient data capturing. 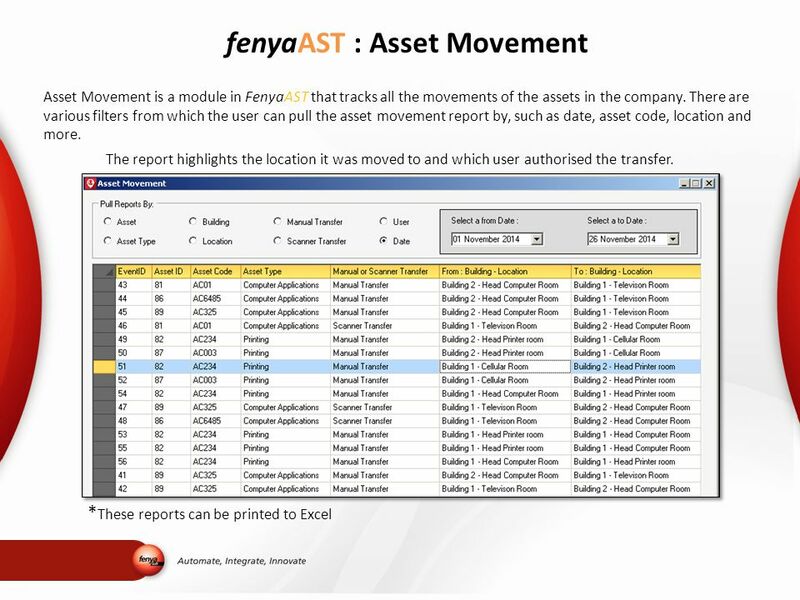 6 fenyaAST : Asset Maintenance Suppliers -Add, Edit or Delete Suppliers Return Faulty Assets to Suppliers and Retrieve them. 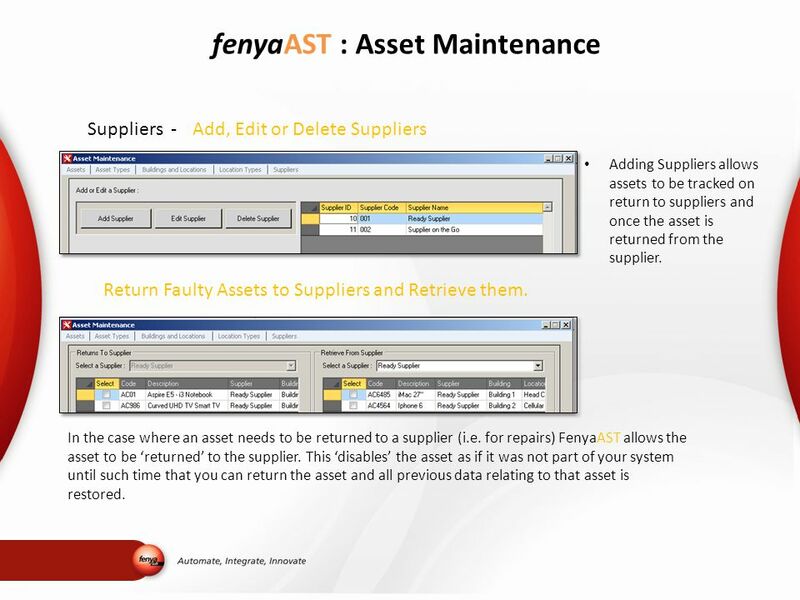 Adding Suppliers allows assets to be tracked on return to suppliers and once the asset is returned from the supplier. In the case where an asset needs to be returned to a supplier (i.e. 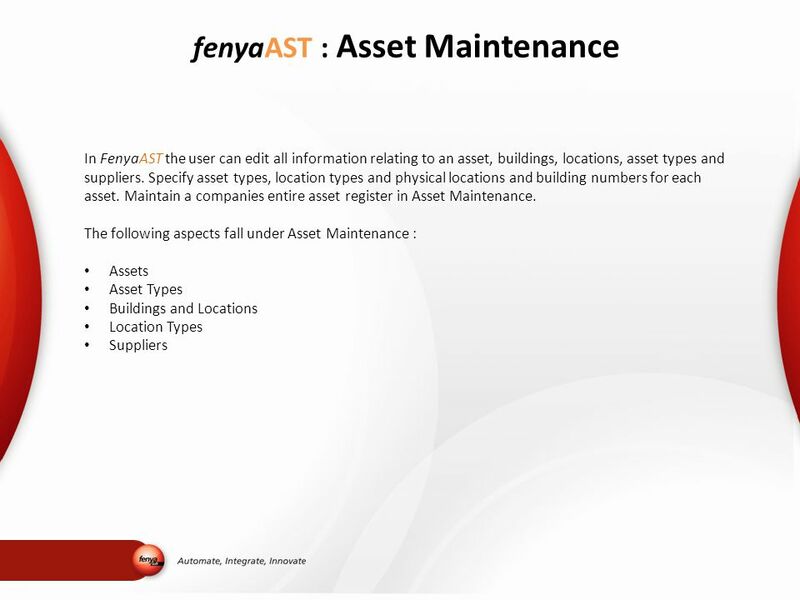 for repairs) FenyaAST allows the asset to be ‘returned’ to the supplier. 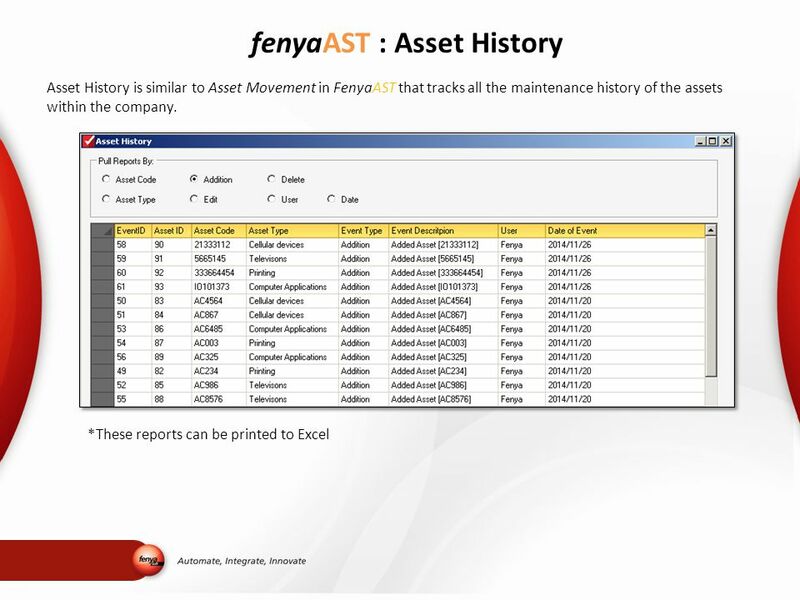 This ‘disables’ the asset as if it was not part of your system until such time that you can return the asset and all previous data relating to that asset is restored. 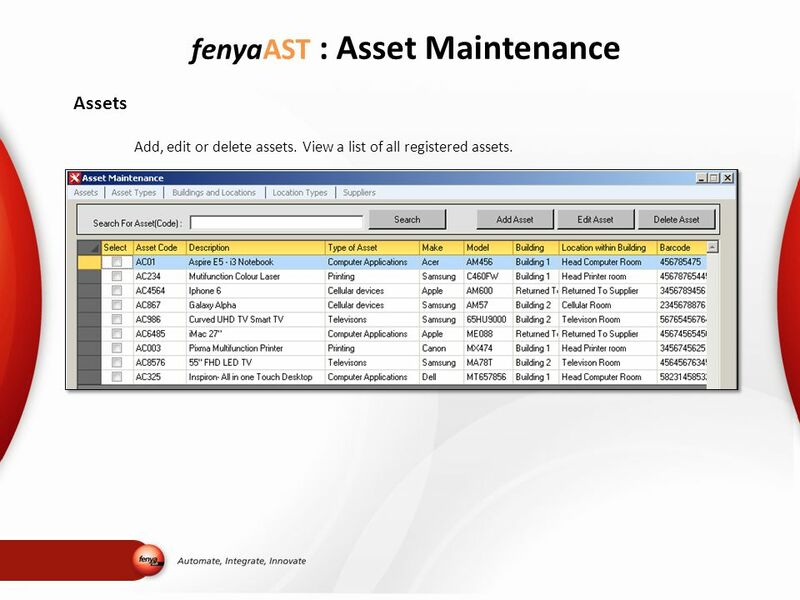 8 fenyaAST : Asset Maintenance Assets Add, edit or delete assets. View a list of all registered assets. 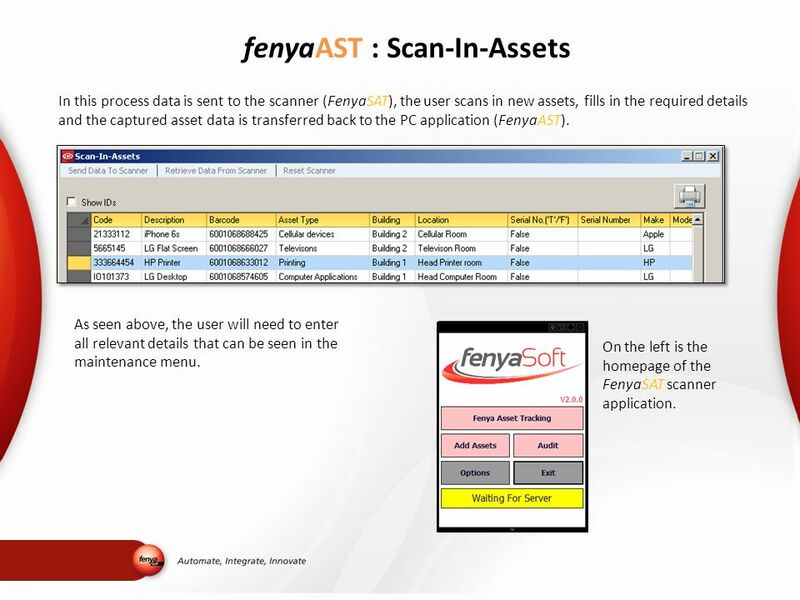 9 fenyaAST : Scan-In-Assets In this process data is sent to the scanner (FenyaSAT), the user scans in new assets, fills in the required details and the captured asset data is transferred back to the PC application (FenyaAST). As seen above, the user will need to enter all relevant details that can be seen in the maintenance menu. 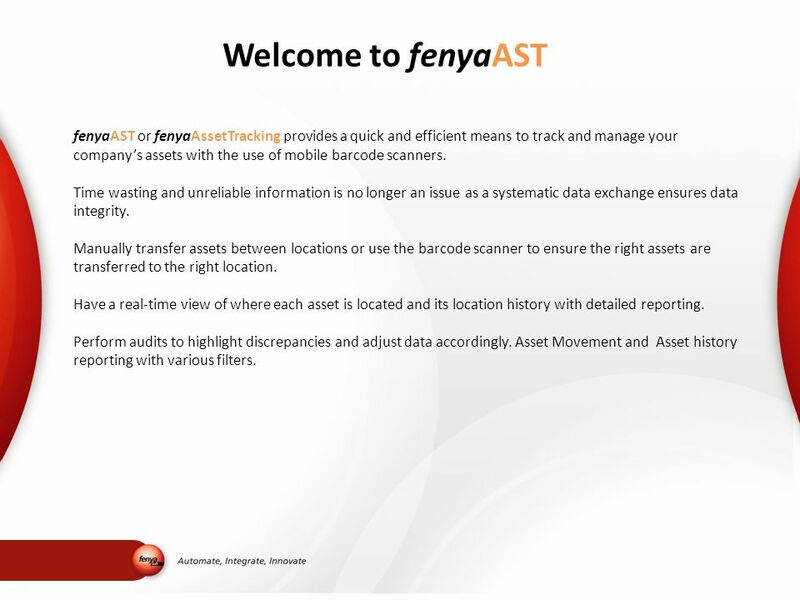 On the left is the homepage of the FenyaSAT scanner application. 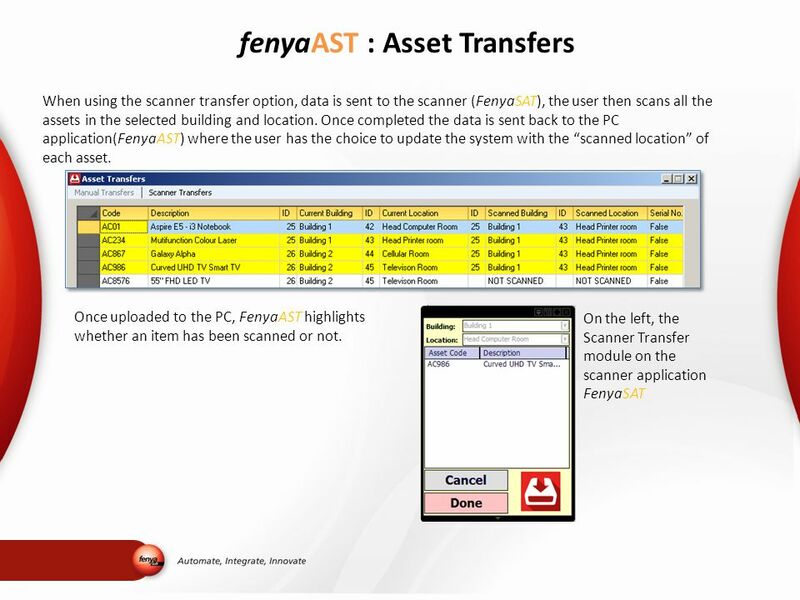 10 fenyaAST : Asset Transfers This section consists of Manual Transfers (using FenyaAST) and Scanner Transfers (using FenyaSAT). Manually select assets and transfer them between buildings and locations. 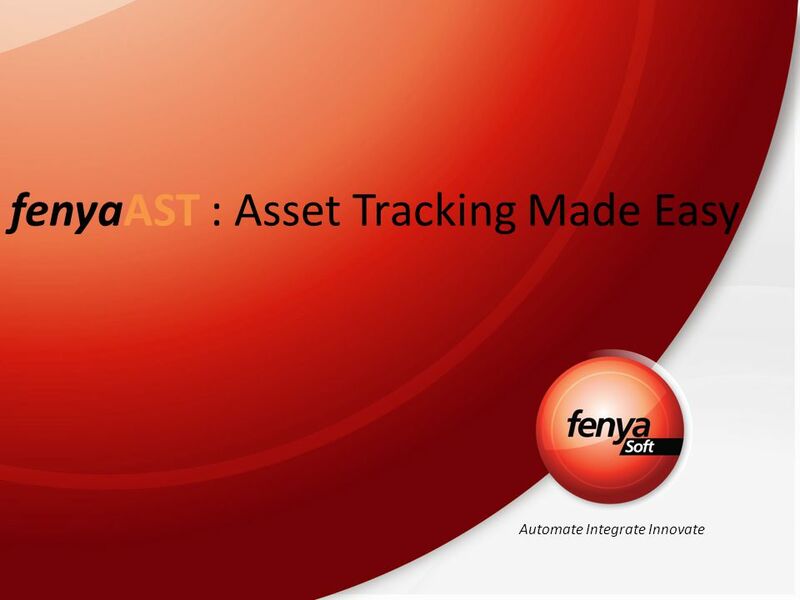 Download ppt "Automate Integrate Innovate fenyaAST : Asset Tracking Made Easy." MyShelf Lite User Guide. Contents Getting started Location summary Report Administration User Roles. Welcome to Online OHS All your OH&S needs in one easy to follow database system. What is New in Inventory & Purchasing? Presented by: Derek Kratz. CLINIC MANAGEMENT SYSTEM APPOINTMENT SCHEDULING. How will this start? Any schedules already built will not be carried over to the CMS Portal You will. Housing Extranet RGI Calculation Forms By Dan Douglas Section 48 and Section 49. 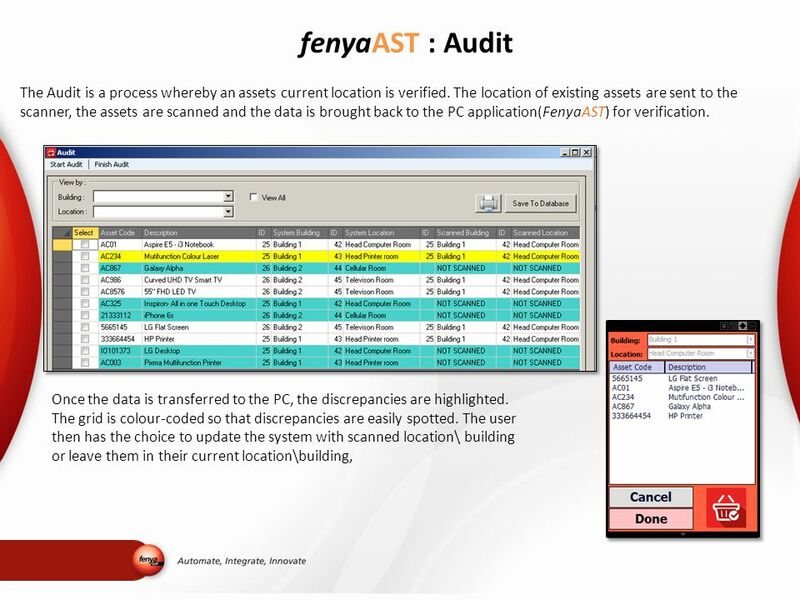 By Nagaraj Reddy TM Fixed Asset Management System A software solution for People who wants to Manage their Asset efficiently. Www.e-serbadk.com SERBA DINAMIK SDN. BHD. Think Globally…..Act Locally….. PPE I PPE INVENTORY SOFTWARE.